Hi everyone! Today I’m sharing our 2016-2017 Homeschool Supply Haul with you. We have four children and this year we spent about $150 on supplies total. I usually average around $100-$150 on supplies including a few extra things that we have to purchase for their weekly options program. This year I ordered most of our supplies online, but I did pick up a few extras at a local store as well. I hope you enjoy this video! 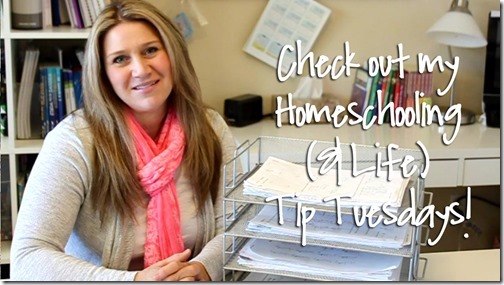 Watch Tip Tuesday: Homeschool Supply Haul here! Here are some links to products mentioned in the video, I think I found everything, let me know if I forgot anything! So that’s our homeschool supply list for this year. I didn’t have to buy any paper, binders, or file folders this year since we had plenty left over from previous years. Yay! I hope these Tip Tuesday videos help encourage you, I know getting started can be overwhelming! If you have a suggestion for a Tip Tuesday video, make sure to leave a comment below! I hope this video helped you out, feel free to email me if you have any questions you can also post a question on the COAH Community to see what other’s are using as well! Want more information? 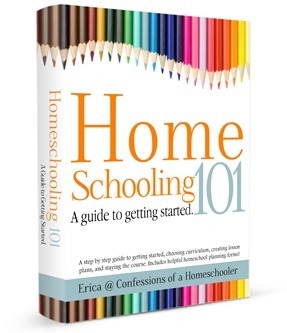 I wrote a book called Homeschooling 101 that will help answer all of your questions on how to get started homeschooling, choosing curriculum, creating lesson plans, etc. For more information on homeschooling check out my Homeschooling 101: A guide to getting started! I am wondering what desk you put in your older daughters room. I need to buy a desk for my daughter who will be in 8th grade this year and I’m stuck as to which one to by. I love your work box desks and I see I can buy one at IKEA for a single student, but I don’e know if that is necessary for an older student. Also, I would love to see your daughters set up in her room. I love all of your supplies. I am inspired to go shopping. The desk in her room is just an Ikea Linnmon table top (24×47) and then the cheap white Ikea table legs. She also has the Vika Alex drawer unit holding up one side. It was initially for her sewing area, but she wanted it for her drawing stuff. So sometimes she’ll do school up in her room. Thanks Erica! I’m really enjoying your videos and was wondering where you got a couple specific products, so this is helpful. Thanks Erica for the video! I will be shopping for our homeschool supplies soon so it helps to know what supplies are actually needed for homeschooling and which ones are just extra. Lot of fun goodies. I have leftovers as well. I love the caddy. I also have one… it sits in my scrapbook room full of scrappy tools and such. I found a silverware caddy for picnic/outdoor silverware and paper plates that I use for our pencils, markers, glue, etc. I also use an outdoor silverware caddy for pencils, markers, glue, etc. It was on clearance and works really well! Thanks, Erica, for sharing this information. I bought one of the supply caddies a few years ago from Michaels crafts store (after watching a video you posted) and we keep paper clips and extra erasers in our mini pullout drawers. Some other items I purchase for back-to-school are toner cartridges and copy paper. I love the Frixion pens. I have seen them on your blog before, but I get the retractable ones. I don’t like lids that usually get lost, and I prefer to store pens/markers upside down or tip down. FYI, I heard a long time ago from a scrapbooking blog that markers and pens last longer with tips down. This makes sense with gravity pulling the ink the right direction to the tip instead of drying out. I am currently using the Pilot Frixion Clickers, but I am thinking about the Slim retractables, since they have more colors. All on Amazon also. Thanks for all the information that you share!! I enjoyed this! My amazon list just got an update and my kids will be happy! I loved the video! A couple questions, where do you get the erasable colored pencils? My daughter would LOVE that! Also, i just purchased your Road Trip USA and Expedition Earth curriculum, where is the cheapest place to print it out at?? Thanks! Your blog has been such a blessing to me and my family! I wish you had written post or transcripts of your video’s because my internet is to slow to watch your video’s.